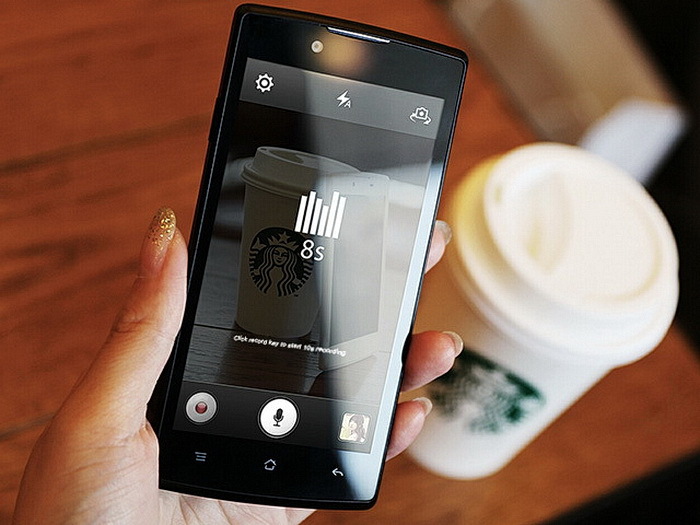 Year-over-year smartphone sales should rise by 7 percent by the end of 2016 thanks to rapid growth in China. According to analytics firm GfK, a total of 368.1 million smartphones were shipped worldwide in Q4 2015 representing an increase of 14 percent from Q3 2015. 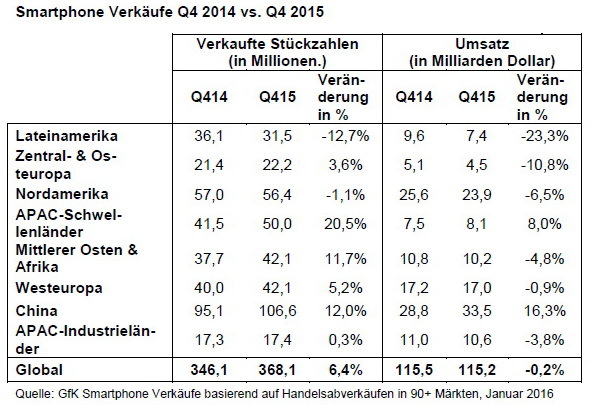 Compared to the Q4 2014, shipments have grown 6.4 percent while average smartphone prices have fallen by 6 percent. Thus, revenue has essentially remained flat YoY at around $115 billion USD. 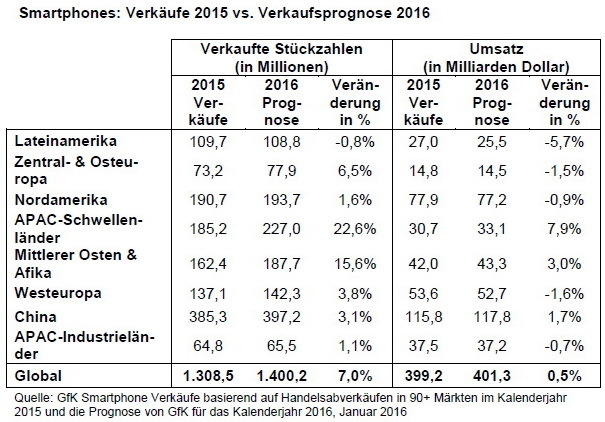 As for all of 2015, GfK estimates that a total of 1.3 billion smartphones were sold representing an increase of 7 percent from 2014. The global average price fell by about 2 percent, so revenue rose by roughly 5 percent to $399.2 billion USD. 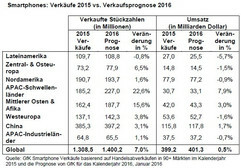 GfK Global Director of Telecommunications Arndt Polifke pointed out that despite the record-breaking fourth quarter of 2015, mixed results can be found on a regional level. He claims that local factors like politics, sports events, diverging economic trends, market saturation, and more are having more of an effect on smartphone sales and prices. 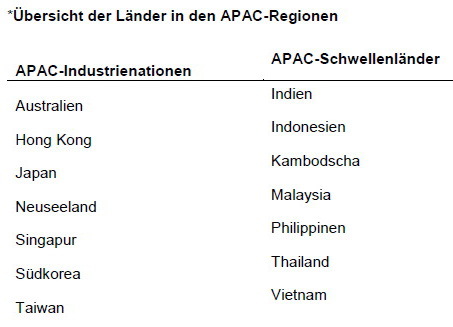 The region with the highest growth was APAC (Asia Pacific) at a whopping 21 percent compared to Q4 2014. At a country level, India takes the lead at 34 percent compared to the same quarter last year due to very inexpensive and affordable smartphones in the territory. 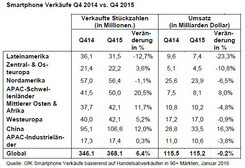 China saw demand rise by 12 percent for a total shipment of 106.6 million smartphones in Q4 2015. Meanwhile, the Middle East and Africa each saw an increase of 12 percent while Egypt was up 27 percent compared to Q4 2014. 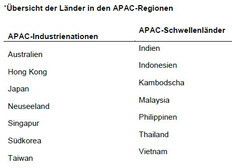 Western Europe saw a sales increase of 5 percent with France, Germany, and the UK being the leading markets. On the other hand, demand in Latina America, Russia, and the Ukraine fell by 13 percent, 7 percent, and 14 percent, respectively.